Fully forged with gently-tapered solid handles, Ovation is polished to an exceptional mirror finish and crafted in 18/10 Stainless Steel. The extra heavy-gauge and well-rounded handles make this design superbly comfortable to hold. This attractive contemporary range graces any modern tabletop. 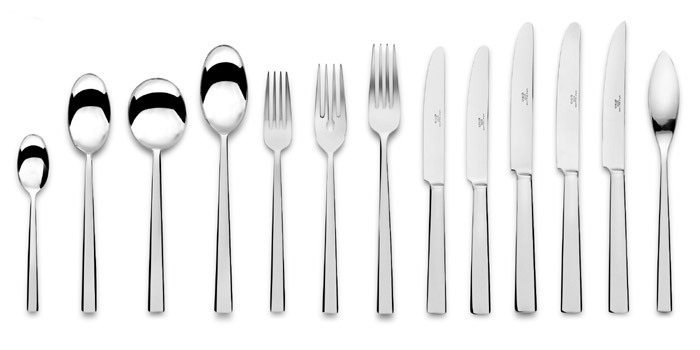 Ovation is complemented by a range of additional items, these include fish knives, fish forks and serving items, allowing the user to both dine and serve, for seamless style on the table.